Okay, all you friends who are just about to finish up your year (not you super-lucky ones who are already done) ... have I mentioned how VERY jealous I am?? As of today, I have 19 school days left ... 19 sounds do-able, until I think about everything I still need to squeeze in ... then I start to hyperventilate a little a lot. As it is WAY too soon to get my students into that end-of-the-year mindset (I'm not that crazy), I tested the resource out on my daughter at home (the things she has to do for her mama) ;). She loved it, though - and I LOVED hearing about her reflect on her school year - what things stood out as her proudest moments. All your students need to complete this project is a paper lunch bag - preferably the ones with the flat bottom. Your students have different choices when picking out what organizers they will include on the different panels - so they can reflect on the experiences that they will truly remember. The best part is what's on the inside - students have to choose 10 items that symbolize or remind them about something meaningful over the school year. For each object they include in their bag, they will fill out a card explaining why they chose that object. Students can present these bags orally, or they can be hung on a bulletin board or lined up along a shelf, students could also set them up gallery style and have students walk through to see the displays ... or they could take them home to share with parents if you're already cleaning up your classroom. If you're interested in checking this one out, just click HERE or on any of the pics in this post. Happy Monday!!! (only three more Mondays to go for me). Love this Memory Bag! just pinned it to save for the end of next year. Thanks, Erica! Enjoy your summer!! Love this project! Did you have the students just pick assignments that they enjoyed, or what parameters did you give them for choosing things for their bags? I'm just thinking about what would be accessible to them! The students can choose anything - as long as it fits in the bag. My daughter wanted to include various awards she had won, her favourite book from the year, something that reminded her of a new friend she had made, a flashcard because we worked so hard at mastering her multiplication facts ... anything goes. THANKS FOR SHARING. You are wealth of a knowledge. 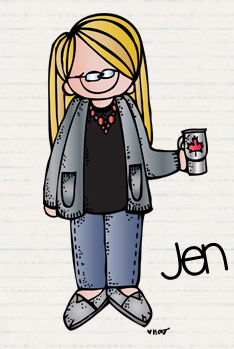 What a great idea, Jen. I love that it's so individual for each kid,and allows them to be thoughtful. Good stuff! My students are finishing theirs up tomorrow! They absolutely loved them and I can't wait until they share the items they chose for inside the bag :) Thanks for making another wonderful project! !